There are episodes of Raw that are downright frustrating, episodes that have so many horrendously booked and executed segments that watching the entire three hours feels like arguing with your stubborn, ignorant, racist uncle at Thanksgiving. There are episodes of Raw that are glorious, that hit all the right beats while managing to feel fresh and exciting because of the talent of the performers. Both those kinds of episodes are good; even the former is “good” because it at least elicits a reaction. That’s what wrestling is supposed to do. Tonight’s Raw is a third kind of episode, where few things are offensive and there are even fewer things to get excited about. The only feeling tonight’s Raw manages, outside of a handful of smaller segments (more on those later) is indifference and boredom. While tonight’s Raw does have its moments, it’s largely forgettable. That’s the worst thing a wrestling show can be. There’s no sense of urgency, no emotion inherent in almost all of the segments tonight. It’s an issue with booking and storytelling more than anything else. Take the start of the show. Brock Lesnar and Paul Heyman are in the house, and that’s usually a good thing. Tonight though they’re just there to repeat the same build for the same match with the same video packages we’ve seen time and time again. Undertaker vs. Brock Lesnar at Hell In A Cell is admittedly a draw, but the build is so familiar that it’s hard to work up any enthusiasm about it, no matter how much Heyman screams and how many times we’re forced to watch the highlights of Brock breaking The Streak. Repetition is the defining characteristic of the segment, as Big Show eventually interrupts the promo and it’s Saturday at MSG all over again. The same lack of inventiveness extends to much of Raw. There’s a match with Sheamus and Neville that isn’t really a match, and while it does set up a potentially interesting feud between Barrett and Neville, it’s still a quick segment that doesn’t muster up much in the way of enthusiasm. So much of tonight’s Raw feels like that, like the writers are just hitting the same beats they’ve been hitting for weeks. It’s why Kane and Rollins teaming up against the Dudley Boyz, despite being a fresh matchup and consisting of some intriguing psychology, still feels stale. That’s without even mentioning that it’s getting ridiculous to see Rollins continually destroyed on Monday nights. Yes, Rollins is a chickenshit heel, but he needs to be getting sneaky wins in order to justify the comeuppance, to make his losses meaningful. Right now Rollins is just losing match after match. This is no longer the story of a conniving heel getting what he deserves, but rather the WWE Heavyweight Champion looking like a chump week in and week out. It’s ridiculous. The ridiculousness doesn’t stop there though, as the #DivaRevolution rolls through Boston and continues to produce frustrating results. Now, logic suggests that Sasha Banks, who not only calls Boston her hometown but is also continually requested by the WWE universe through “We Want Sasha” chants every single night, would come into her hometown and put on a show. So, what does creative do with this opportunity for a huge pop and a genuinely exciting segment? They put her in a six-person tag match and give her about two minutes of televised ring time. Considering how numb I am to WWE’s ludicrous booking at this point, it’s saying something that I legitimately screamed at my television when I realized Sasha wasn’t getting a singles match. It’s beyond comprehension that WWE can come into Boston and not give one of their brightest young stars, one who’s going to be in the main event at NXT Takeover: Respect, some time in the ring. Apologists might say that WWE is giving her some time off to prepare for that 30-minute match, but that’s being too forgiving. The last few weeks of booking show that this isn’t a case of WWE resting its main event talent, but rather neglecting to treat the Divas division as more than just as bunch of interchangeable bodies. As infuriating as that segment is, and as bland as the rest of the show is, there are two segments that have the kind of energy that so much of tonight’s Raw could use. 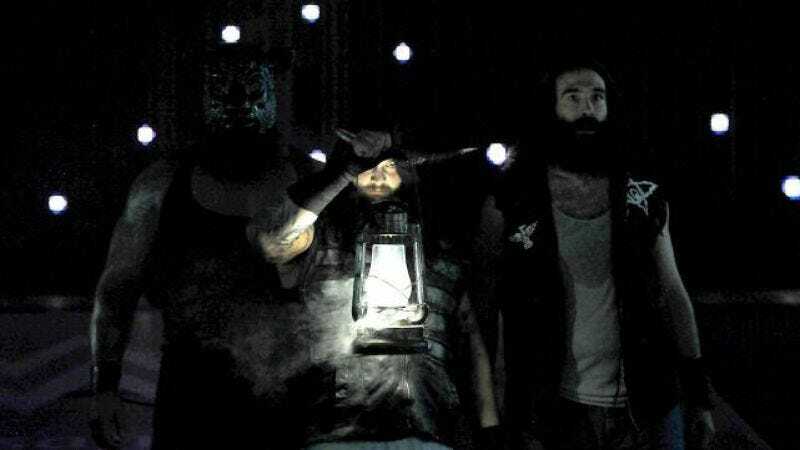 First, there’s the team of Roman Reigns, Dean Ambrose, and Randy Orton facing off against the Wyatt Family. The match itself is solid, but the true draw is in the storytelling. The way Reigns goes right after Wyatt is beautiful, and this feud is doing wonders for both of them. After last week’s great main event brawl, having the two slug it out on tonight’s show, and having Reigns look like a true force by picking up the win, is a smart move that keeps things moving, meaning that this feud remains one of the most consistent things on Raw every single week. While the main event is fun, and sees New Day standing tall at the end of the night, the other worthwhile segment from tonight is the one that sees Summer Rae proposing to Rusev. Now I know I might be in the minority on this, but the twisted romance of these two, and the eventual reunion of Lana and Rusev, is, if not great, at least entertaining. Sometimes wrestling needs to be silly and stupid, and that’s exactly what tonight’s romantic segment is. I mean, Summer not only proposed to Rusev, but she puts together a whole video tribute to their weeks-long partnership. It’s glorious! Tonight’s Raw has a lot to be cynical about, but at least strange romances and handsome Samoans offered up some sort of energy amongst all the indifference. Results: Roman Reigns, Dean Ambrose, and Randy Orton defeated the Wyatt Family; Sheamus defeated Neville; Natalya defeated Paige; Kevin Owens defeated Sin Cara; Kane and Seth Rollins vs. The Dudley Boyz ended in a No Contest; Team B.A.D. defeated Team Bella; John Cena (c) defeated Big E (United States Championship). It’s so great to have Natalya back in the ring. Her match with Paige was maybe the best of the night, even if the crowd wasn’t into it. Rollins getting that Deflategate heat is wonderful. So, Steph just comes out and gives Kane a title shot at Hell In A Cell? Why? My notes contained the line “needs more New Day” before the final segment, so having them drag Ziggler out and declare Big E as Cena’s challenger was a great relief. Speaking of Big E, he has the best splash in the business, hands down.